Five Australian companies have secured $12 million to develop leading-edge defence technologies. Sentient Vision Systems is the big winner from the contract awards, receiving $5.5 million to develop a land Visual Detection and Ranging (ViDAR) system. The company already has a ViDAR system for maritime searches, which is an airborne device that autonomously detects objects on the ocean surface and provides detailed images of objects that other methods often miss. Sentient claims ViDAR provides "over 80 times the area coverage compared with existing EO/IR systems". The proposed land ViDAR system will utilise electro-optics with infra-red capability for low light and night time functionality. The Defence Innovation Hub has also signed a $3.2 million deal with Thomas Global to develop a next-generation biocular image control unit for armoured vehicles. Thomas Global specialises in electronic systems solutions for aerospace and defence applications, providing advanced flight deck displace systems, armoured vehicle sighting systems, simulation and training solutions and high-integrity mission electronics. Canberra-based company Penten has received $2 million to develop new technology that will create decoy radio emissions in order to confuse adversaries as to the true location of Army units. The technology is called WAID (wireless artificial intelligence decoy), and Founder and Director of Penten Ben Whitham highlighted the importance of such an innovation on the battlefield. “We are proud to be delivering this next generation of cyber security and electronic protections for the Australian Army. This is another example of an Australian SME creating world-leading technology to support our soldiers and our Allies.” said Ben Whitham, a Founder and Director of Penten. Penten is an innovative start-up company that now employs over 40 engineers, and specialises in secure mobility, cyber deception and engineering. The Defence Innovation Hub has awarded $1.7 million to Ocius, in order to "determine the viability of an intelligent command and control network of persistent unmanned surface vessels". The technology is intended to improve Defence maritime services, like patrols, mine clearance, environmental monitoring and search and rescue operations. Amatek Design has been awarded $288,000 in order to develop a concept heavy lifter quad-copter drone for Army combat service support, which the government said "could be used to supplement or replace existing modes of transport, including off-road vehicles, trucks and helicopters". 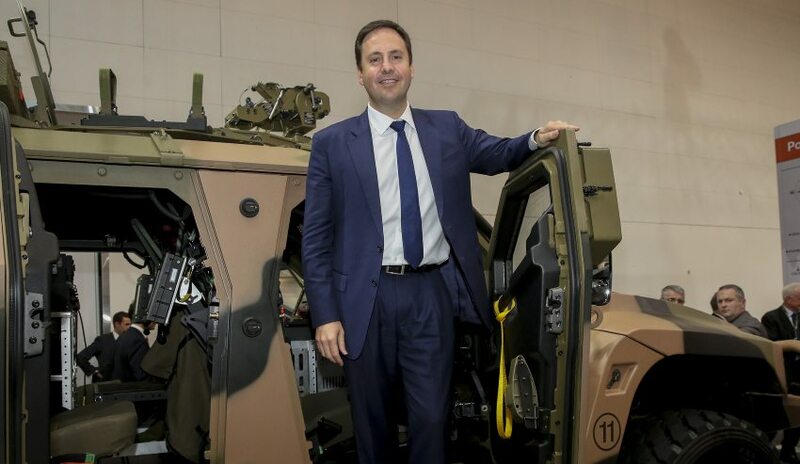 Minister for Defence Industry Steven Ciobo said the government is investing in innovation to support a smarter and stronger Australian Defence Force in order to keep the country safe and secure. "The latest tranche of investments, funded through the Defence Innovation Hub, demonstrates the government’s commitment to invest in Australian industry, universities and research organisations to deliver leading-edge capability for Defence," Minister Ciobo said. This article has been updated to include additional information and comment unavailable at the time of publication.